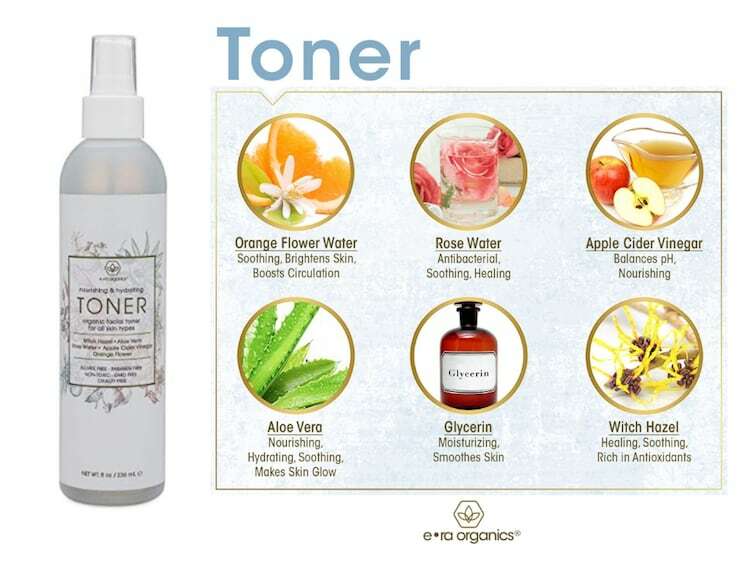 ERA Organics is celebrating the launch of their new Organic Face Toner Spray and they are giving away everything you need to for your nighttime skin routine! You can find it on Amazon for just $7.99 when you clip the $6 off coupon. This Organic Face Toner Spray is extra nourishing and hydrating natural facial mist with witch hazel, apple cider vinegar, and rose water for dry, oily, acne prone skin. It can balance pH, nourish and moisturize your skin. Completely chemical free, non-toxic, perfume free, sulfate free and of course cruelty-free. Era Organics has put together a nighttime routine that will transform your skin. Start off by washing with their Tea Tree Cleanser to kill any acne-causing bacteria. Then, spritz your face with their brand new, Rose Water and Apple Cider Vinegar Toner to balance the skin's pH, moisturize and soothe inflammation. Follow it up with Vitamin C Cream to boost collagen production, moisturize and improve your skin's texture. Finish the routine with their enzyme-rich Eye Balm to fill in those fine lines and wrinkles. Buy With Confidence. 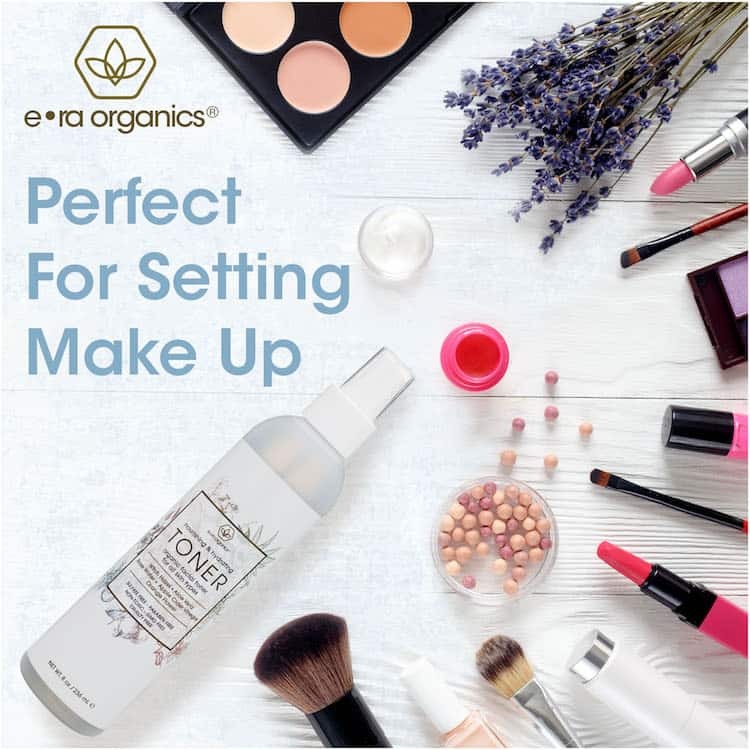 ERA Organics know how hard it is to find natural skin care products that work, which is why they offer a “Love Your Skin Or Your Money Back” 60-day guarantee. As a family-owned company with products made in the USA, they take customer satisfaction quite seriously. 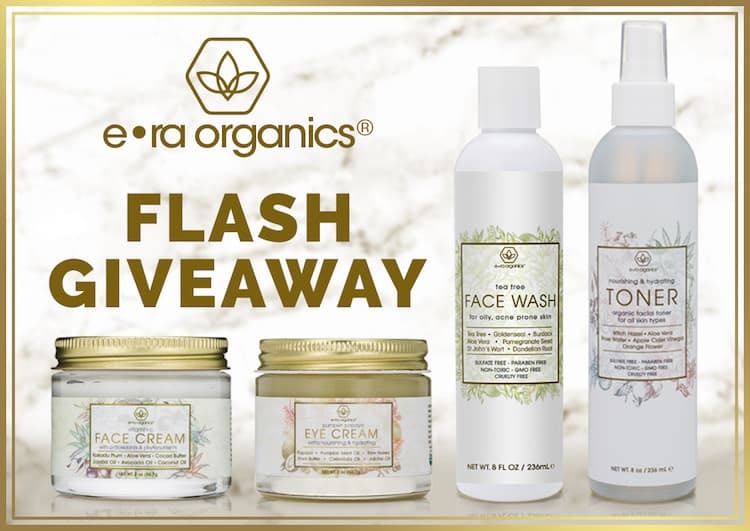 Win Nighttime Routine Products From ERA Organics My Chaotic Ramblings and all participating bloggers are not held responsible for sponsors who do not fulfill their prize obligations. This giveaway is in no way endorsed or sponsored by Facebook or any other social media site.